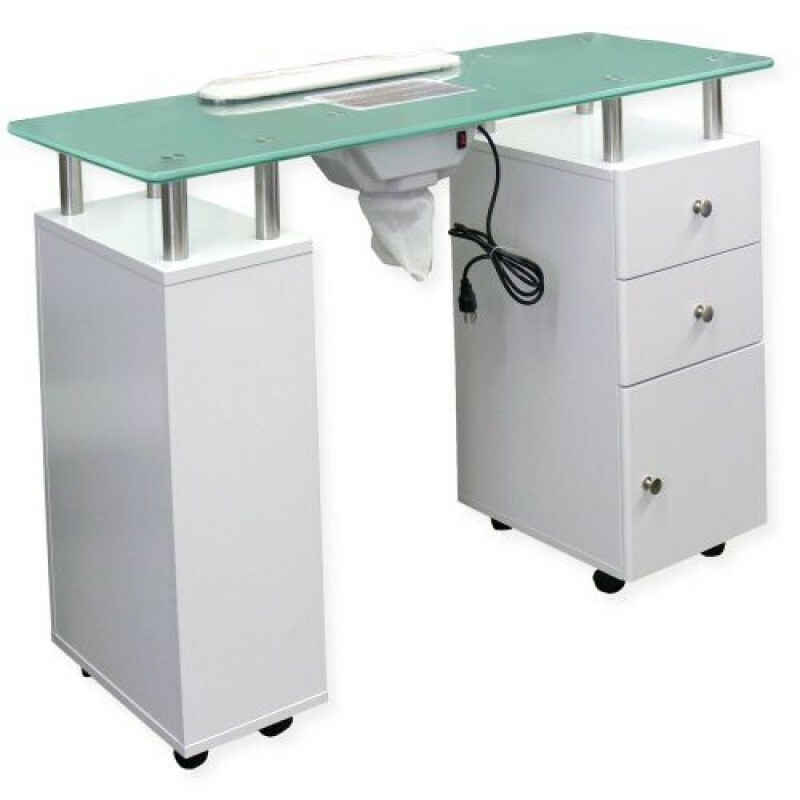 The White Manicure Table with Glass Top & Dust Collector from Natali Products – modern design in your spa or salon. Features include 2 drawers, so you can store your nail tools. 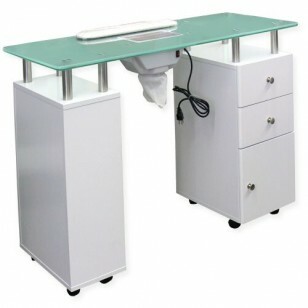 Below those is a larger cabinet, which is ideal for storing nail drills and larger items. And there are also 3 open shelves on the inside. Packaging: This product will arrive in 4 boxes.